The use of hot air balloons for enjoyment has been around for hundreds of years, but hot air balloons, for the most part, have not been used for actual long-distance travel. This all changed in the year 1978. 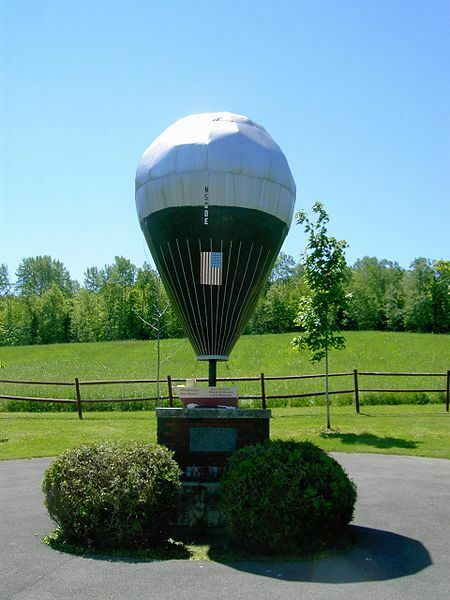 In August of 1978, Ben Abruzzo, Maxie Anderson, and Larry Newman set out from Presque Isle, Maine in the hot air balloon, Double Eagle II. The plan was for the Double Eagle II to fly over Ireland, where Newman would hand glide out of the balloon over Shannon Airport while Abruzzo and Anderson flew the plane to France. Unfortunately, the hand-glider was thrown overboard as ballast. The Double Eagle II still flew over Ireland, but was passed by so the group could make it to France. Authorities in France had closed Le Bourget Airfield to allow the balloon to land, but due to a lack of ballast, the pilots declined because the feared injuring anybody in the Paris suburbs if they flew too low. On August 17th, 1978, the group landed in a barley field sixty miles from Paris. Once landed, the balloon was surrounded. The gondola was recovered, but the majority of the logs and charts were taken as souvenirs. The trip took 137 hours and six minutes to complete.